Discoverhealth - Lierre.ca Blog | Why is Konjac Sponge such a hype? 17 Jul Why is Konjac Sponge such a hype? Ever heard of Konjac Sponge? It is quite popular in the Asian Country, it actually helps people to cleanse better their face, or an extra way to properly cleanse your face. It comes with different shapes and types of Konjac Sponge, depending the concerns or imperfections that you want to tackle. It is simply made of Konjac plants mixed with water, and it gives a good cleansing properties. It is a simple, effective and pure cleansing tool, that will help you feel a whole new experience. It is made of 100% natural Konjac Korean Plant root, and it is eco-friendly. Soft as it is, it will clean your face, and leave a fresh, glowing and silky smooth face. 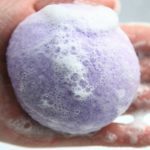 You simply wet your sponge with warm water, and squeeze the excess of water, and start with your favorite cleanser, just a little amount, because it is going to foam really fast. After, you can rub it in your face, gently, in a circular motion, towards up. And simply as that, you will have a cleansed face! It has safe and natural ingredients, so you can use it, twice a day! You do not have to purchase expensive cleansing tools, it will work the same way, and great for sensitive skin, it would not strip your natural oils, and skin barrier. How to clean and store it? You can just use water, and squeeze, until no soap. Make sure it does not contain any soap, and simply gently squeeze excess of water. And store it in a dry place, it will become hard, but once you apply water again, it will be back to your normal Konjac Sponge. 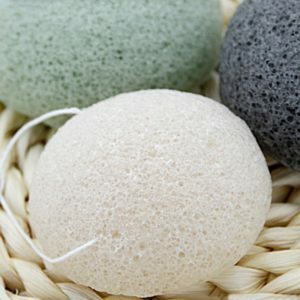 What are the different types of Konjac Sponge? As I mentioned Konjac Sponge has different types, and are effective for different skin types. Black: Charcoal is by far the most popular one because this one will help you deeply clean your face, and go into your pores. Ever heard of those charcoal mask, well they are the same effect. Charcoal is known to generally treat acne-prone skin, and also to deeply clean, and detoxify, even under your skin. Pink: Pink Clay is perfect for people who has rough, tired, dry and dehydrated skin. This Clay is especially good to restore and regenerate your skin. It comes down to give you an extra moisture, that other spon do not have.